In Real Estate for 17 years, 5 as Loan Officer, 12 as a Realtor®. My goal is to provide the best service with my experience and willingness to help others. This recommendation is what drives me. I love my job. SATURDAY 11-5 & SUNDAY 11-5!!! Danny DeGroat with Integrity Home Mortgage will be there from 2-5 with onsite lender approval and $500 leder credit towards closing cost! ***New listing ALERT*** Every option you want is in this home. Do you know someone looking in Haymarket? Click on picture below to see Video Tour, 3D Tour and more pictures. Rappahannock County Farm Tour. This weekend. Hurricane preparedness is one of those things that's easy to put off until, well, a hurricane is knocking on your door—and tearing it off the hinges. Open House today Saturday 12:00-2:00. Tomorrow Sunday 12:00-3:00. Open House today!!! 12:00-4:00 Check out video tour in link. Taste of Reston!!! Anyone going??? Power outages commonly occur during winter storms. Here’s a look at what you should and shouldn’t do if you find yourself caught in the dark. This site specializes in home values in Northern Virginia. It's by far the most accurate tool and I wanted to share. Search open houses near you. If you would like to see any of these or know anyone looking, I would love to help. They are the love of your life...but how is their credit? #7 #RedwoodRocks So proud to be part of Century 21 Redood Realty!!! 4 Reasons to buy a home in 2018!!! Don't run out of time!!! 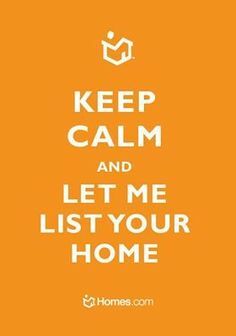 Call me TODAY (703) 728-5855. Open House tomorrow!!! 11:00-2:00. Come see Ralph Antuna and Danny DeGroat. We are giving away gift cards!!! Thankful for those who gave, humbled by those who give. Inventory is still low. What are you waiting for??? Be the first to know and let us send you an email when Ralph Antuna, Realtor® posts news and promotions. Your email address will not be used for any other purpose, and you can unsubscribe at any time. Open house raffle drawing for Saturday, April 22.